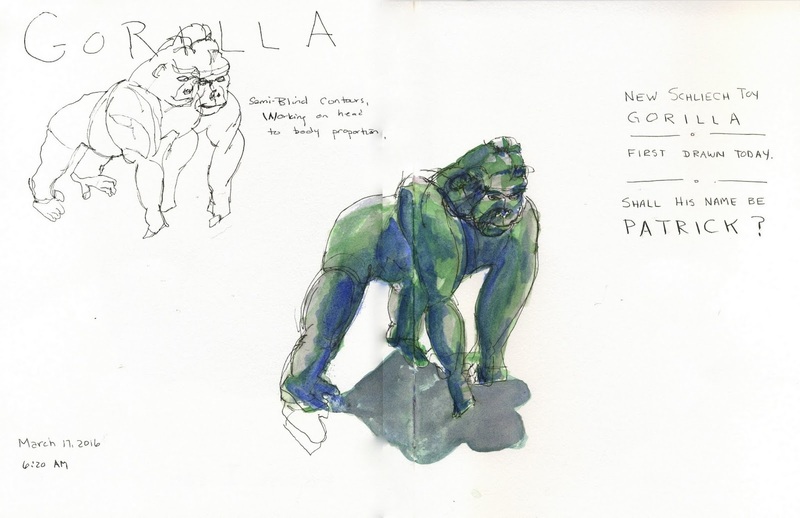 Last week, on St. Patrick's day, I scribbled for the day using my new toy gorilla as a model. I had not drawn him before. First I did some contour studies in black and white. The wisdom I had read (and now I regret that I didn't write the quote down) indicated that while color is a matter of taste, the value (or darkness) of the shapes that make up a picture are "fact." If you want something to look like something (and, of course, we don't always want that, but if we do...) you have to get the values right. 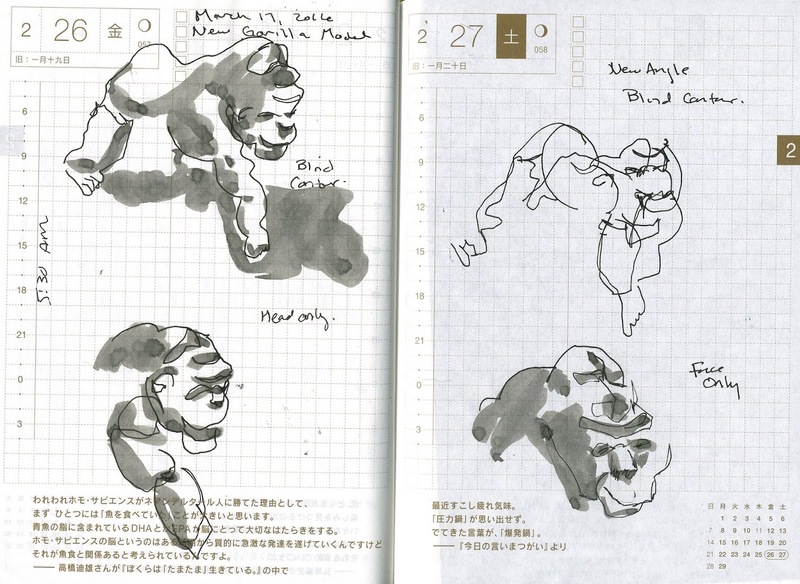 I have a hard time seeing them, much less getting them down on paper. I'm still practicing with my scribbles! Somehow, using funky colors made it more fun to experiment and practice these ideas. I think I'll do a blue dinosaur next.